A new editorial team, based at the Universities of Brighton and Sussex, has been chosen for the prestigious journal, Sociology of Health and Illness. 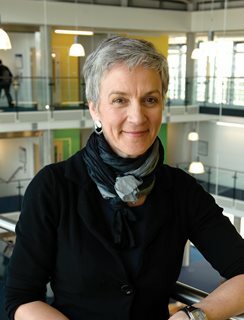 Professors Flis Henwood (UoB) and Karen Lowton (UoS) will act as Joint Chief Editors. Other members of the new team are Prof Gillian Bendelow, Dr Catherine Theodosius (UoB), Dr Catherine Will, Dr Ben Fincham (UoS) and Dr Sasha Scambler (Kings College, London). The team will support two early career researchers to hold the post of book review editors and Dr Shadrek Mwale, researcher in the School of Applied Social Science, Brighton will undertake this role with a colleague from Sussex (to be confirmed) in the first instance. Sarah David, the current journal administrator, will continue her role supporting the Journal. We received three very strong bids for editorship of the journal. The selection panel, Fiona Stevenson, Anne Rogers, Katherine Smith, Catherine Pope and Joan Busfield (Treasurer, Foundation of SHI), thought that all the bids were from formidable teams with significant reputation and experience in the field, and it was a very difficult choice. The chosen team offer an impressive range of theoretical, substantive and methodological research expertise and represent a distinctive collaboration across pre and post-92 Universities. Their application demonstrated a strong commitment to preserving the unique and distinctive nature of the journal, alongside plans for new initiatives to develop the journal’s reach, public engagement and impact. We look forward to working with the new team, and thank all the applicants and to the selection panel for their support making this decision. Tagged journal, SHI, Sociology, Sociology of Health & Illness, Sociology of Health & Illness Journal, Sociology research, university of brighton, University of Sussex. Bookmark the permalink.